Never too Late! : Weight Loss--Finally! Musings from the author of Reinventing Myself, Seniorwriting, Elder Expectations, and Write Your Life! In my final December post, I mentioned that I intended to lose ten pounds by the end of January. I'm happy to report that I did, and have gone on to lose about twenty more pounds. In all, I've gone from weight hovering near 170 poundds to weight hovering near 140. I haven't been this "light" in years. All is not perfect. I have lots of skin hanging on my arms, and my big stomach never disappears no matter what. I guess this is old age. I srtill intend to lose ten moire pounds, and that's it. 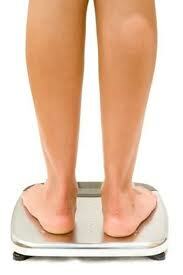 125 to 130 is an ideal weight for me, and I'll have to live with the hanging skin and the big stomach. If there's a warning here, it is to lose the extra weight before the age of 79 or 80! My diet has been mostly the Atkins high protein diet. I've varied it occasionally, and allowed myself one dessert per week and an occasional treat, but I don't eat much. For the most part, I stay out of our gourmet dining room and eat in my apartment. My physical condition doesn't allow for much exercise (more on thaat later). To all of you struggling with weight (as I've done my whole life), I can't recommend myself as much of a role model. I can't resist good food when it's in front of me, so dieting has been a lonely operation. It suits my loner nature, fortunately. Basically, I guess my advice is to learn to eat a lot less, and exercise more, if possible. I am happy to see you blvaogging again. See my blog on writing, "Write your Life!" at http://seniormemoirs.blogspot.com/. I live on the thirty-fifth floor of a senior highrise on Chicago's Gold Coast. I retired in 1999 after 40 years in the English Department of Wilbur Wright College, on Chicago's Northwest Side, where I was department chair for 7 years and Wright's Distinguished Service Professor for 1995-96. In late 2005, I found myself retired, widowed, 73, and depressed, so I set out to find contentment through reflection and writing. My first published book, Reinventing Myself: Memoirs of a Retired Professor, is a series of personal essays recounting that quest and some of the experiences that came before it. My second is Seniorwriting: A Brief Guide for Seniors Who Want to Write. My third is poetry, Elder Expectations: My Life in Rictameters. My writing also includes a column for eGenerations.com. I advocate writing for everyone, and hope to encourage my fellow senior citizens to write. 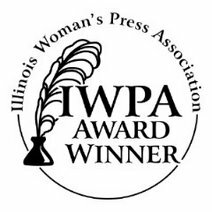 I am a member of the Illinois Woman's Press Association, The National Federation of Press Women, The Story Circle Network, The Authors Marketing Group, and the Chicago Writers Associaion and a volunteer at the Chicago Cultural Center. Please comment on my posts! 1st place winner, IWPA Communications Contest, 2008. Non-fiction: Instructional. 1st place winner, IWPA Communications Contest, 2009. Creative Verse. 2nd place winner, NFPW natioinal communications contest, 2009. Creative verse.